PAAIA has been instrumental in obtaining statistics from the State Department regarding the Travel Ban’s waiver provisions. These statistics have led to a new lawsuit filed by our coalition partners, the Iranian American Bar Association (IABA) and the Pars Equality Center. While the obtained statistics were a major source of concern for Justices Sotomayor and Breyer, the Supreme Court ultimately allowed the Travel Ban to stand with a 5-4 vote. In response to the ruling, our coalition partners have joined others* in filing a class action lawsuit challenging the waiver process. “The current waiver process is inconsistent and arbitrary, and so few visa applicants have actually been granted a waiver, that the process by which waivers are supposedly granted has become mere window dressing for the ban itself. This lawsuit seeks to hold the Trump administration accountable for its failure to implement a good-faith, lawful, and constitutional waiver process so that families who qualify for waivers under the terms of the Proclamation actually receive them and are issued visas,” the group wrote in a statement. 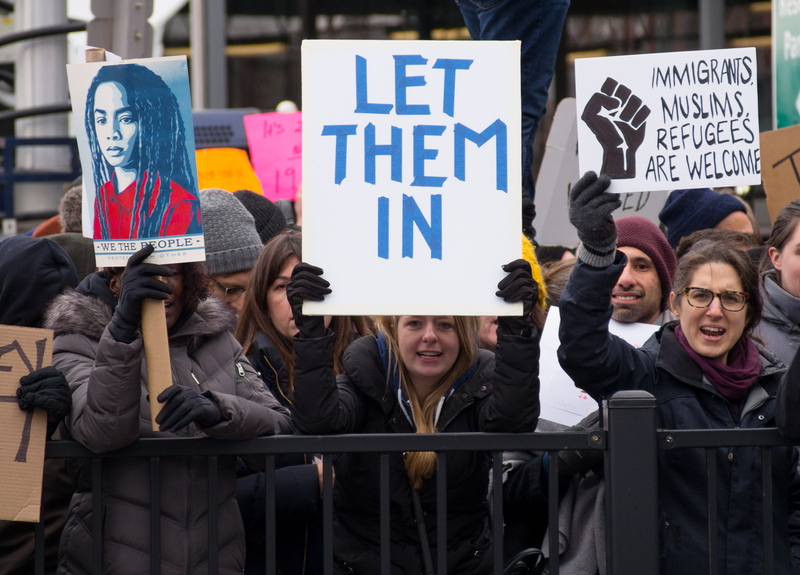 In the beginning of this year, PAAIA and our coalition partners worked with Senator Chris Van Hollen (D-MD) to clarify the Travel Ban’s waiver provisions. As a result of our efforts, the State Department revealed that only 2 waivers had been issued between December 8th and February 15th. In June, the State Department revealed that they had increased their waiver efforts and that 579 people had been cleared for waivers. With over 28,000 visa applicants from countries impacted by the Travel Ban, that’s only 2% of people who have been cleared for waiver, but it’s unclear how many people have actually received visas. Iran is especially impacted by the ban. Among the six nations included in the Travel Ban, Iran had the largest total number of legal entrants into the U.S. (310,182) between 2006 and 2015. Two-thirds of those entrants arrived in the U.S. on temporary visas. The Travel Ban has irrefutably shaken the Iranian American community as countless families have been traumatically split, life plans have been disrupted, and many individuals have had to abandon educational and professional plans. This new lawsuit aims to challenge the Travel Ban process by revealing the ineffective implementation of the waiver process and asks that the Court “require the government to provide a meaningful opportunity to access what is, for most, the only means to reunite with family under an otherwise permanent ban.” PAAIA commends the IABA and Pars Equality Center for their work on the lawsuit. We will continue to work with our coalition partners to combat this discriminatory ban through every available avenue.